It’s not about the money, money, money… except that it kinda is. Barclays Chairman, John McFarlane, reminds us that we need to pay our supplier bills on time! If You’ve Got Bills You Gotta Pay – Pay Them! 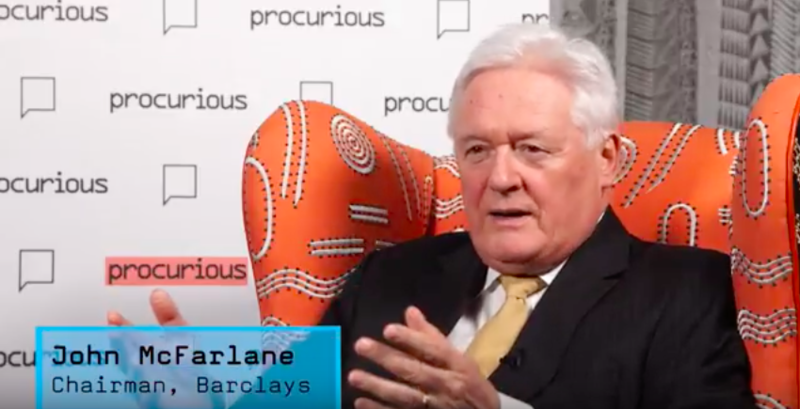 Barclays Chairman, John McFarlane, has a simple but utterly fundamental Big Idea to share for 2017: Procurement pros must pay their bills on time! John acknowledges that it’s a great time for people working within procurement. There are now global marketplaces, the online arena continues to grow exponentially and power has transferred into the hands of consumers. This is a truly unparalleled period for the function. But despite all the changes that are occurring, John was keen to remind procurement professionals that suppliers really matter and the importance of paying bills on time should never be underestimated. If you don’t pay when you should, you’re accountable for endangering a perfectly good customer. Looking after your long-term interests and nurturing your relationships is more valuable than always thinking in the short-term.